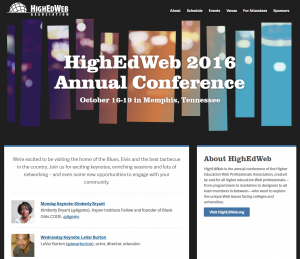 I didn’t make it to the HighEdWeb Conference this year, but I did follow the #heweb16 backchannel on Twitter & read the posts about the conference sessions published by the excellent team of bloggers from LINK, the journal of the HighEdWeb Association. So, I’ve compiled this big list of the slides I was able to find so far as well as the posts from LINK and notes from conference attendees. I will update this page as more slides are published, so please if you presented and posted your slides on Slideshare or any other slides web service, leave the link in the comment so I can update this post. I know how hard it is to blog a conference while attending it – and this year again, the LINK team has done an amazing job. So, you definitely need to read ALL their posts. Events in Stereo: How to Help Your Campus Events and Campaigns Succeed. The Next Generation: Post-Millennial: What Is Next? Don’t see your slides or your post(s) above? 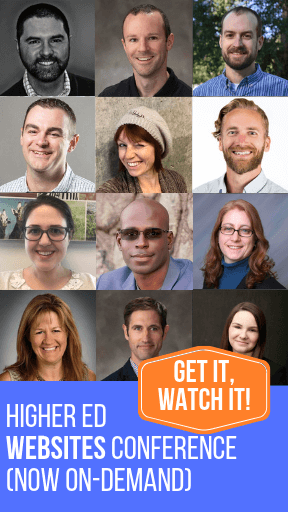 Post a link to your presentation slides or your conference posts so I can add them to this post. 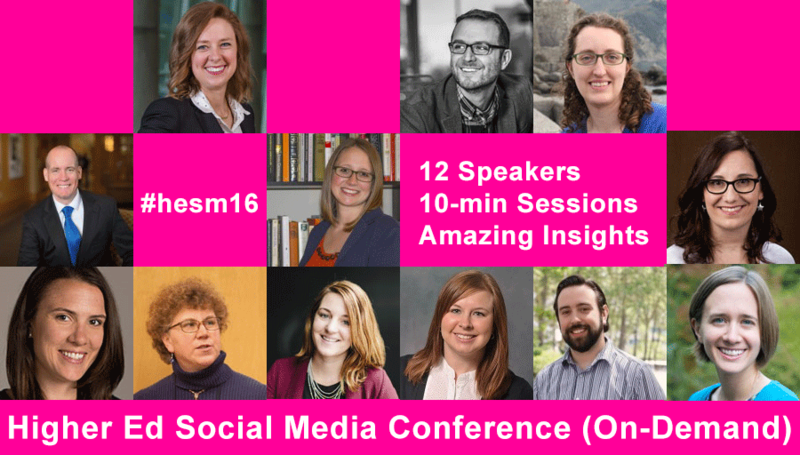 Into Social Media & looking for another conference to attend with your team? Not SLIDES, but maybe a resource? I uploaded my poster — The Kitchen Is Closed: Main Menus, User Experience, & Competing Orders — to SlideShare (http://www.slideshare.net/amandacbilly/the-kitchen-is-closed-main-menus-user-experience-competing-orders).